The prospect of peak oil demand has emerged as an increasingly possible reality, acknowledged even by some oil industry executives themselves. If and when oil demand peaks – whether its 5, 10 or 20 years from now – the oil industry faces an existential crisis. Peak demand will mean falling prices, shrinking profits and terminal decline. That is, unless oil companies begin to diversify into cleaner sources of energy. 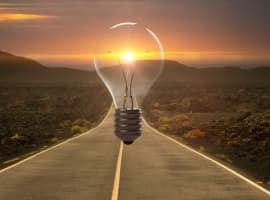 A new report from Wood Mackenzie suggests that the largest oil companies should probably start getting into renewables if they want to pivot with the rapidly changing energy landscape. Renewables are becoming cheaper and cheaper, surpassing fossil fuels in many markets. Because they are late to the party, the oil majors will need to step up spending in order to gain a foothold. If the oil majors are to capture 12 percent of the global wind and solar industry – a similar market share to what they have now in terms of global oil supply – they would have to invest $350 billion between now and 2035. Because such a massive level of investment is probably not on the cards, the industry faces a great deal of financial risk in the coming decades. The face lift at Royal Dutch Shell has also been underway for a few years, although not entirely into clean energy. Shell executives have predicted peak oil demand by the end of the 2020s. With an eye on that looming risk, the Anglo-Dutch company has bet its future on natural gas, which while still a fossil fuel, is at least cleaner than coal and oil and could probably survive in an increasingly carbon-constrained global energy market. Shell is now one of the largest LNG exporters in the world. The large divestments from the carbon-intensive Canadian oil sands earlier this year can also be viewed as a decision to get out of expensive and dirty sources of energy. Shell says that it will increase its spending on biofuels, hydrogen and renewables by five-fold to $1 billion annually by 2020. Still, Shell is not exactly going green yet – it does have some wind farms off the coast of the Netherlands, but its long-term strategy very much hinges on natural gas taking an ever-larger market share. And even though the oil-to-gas ratio varies from company to company, most of the oil majors are following a strategy similar to Shell’s: Putting their money into natural gas and short-cycle oil reserves such as U.S. shale, which reduces long-term uncertainty. 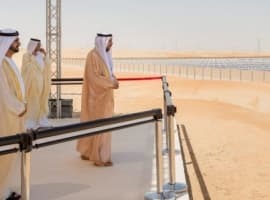 French oil giant Total is probably the only one that has made sizable investments in renewable energy, having purchased solar firm SunPower in 2011. Late last year, Total said it would install 200 megawatts of solar capacity at its petrol refueling stations over the next five years. Not game changing, but a sign of where it is heading. But, by and large, the oil majors are still unprepared for a wholesale transition to renewable energy. But the debate over exactly when we hit peak demand is somewhat beside the point. At the very least any sensible analyst would agree that renewables will vastly eclipse fossil fuels in terms of growth rates going forward. 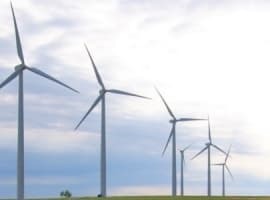 For instance, Wood Mac estimates that demand for wind power will grow 6 percent each year over the next two decades while solar will grow nearly twice as fast at 11 percent annually. Meanwhile, oil demand will only expand at 0.5 percent. Critics of a strategy overhaul would point to the juicy profits from oil production, which still exceeds renewables by quite a bit, depending on the company and the project. But that may not be the case in the future. Oil faces uncertain market conditions while renewables offer stable long-term returns, Wood Mac says, which at the very minimum could help support their dividends. The oil majors need not be left out of the clean energy race. Companies like ExxonMobil have some of the most sophisticated offshore expertise in the world. As such they are strongly positioned to erect large-scale wind turbines in the world’s oceans. But for now, the oil majors are only barely sticking their toes into the market for renewable energy. "Wind and solar are increasingly important strategic growth themes that the majors cannot afford to ignore as they plan for 2035 and beyond," Wood Mac said. "Companies are only just starting to sow the seeds for the radical changes that lie ahead." Which Top 3 Polluter Dominates Wind And Solar? Hopefully the government will remove all subsidies for the disgusting windmill monstrosities that are going up everywhere. Eyesore, inefficient and wildlife killers. Disgusting technology. Another of several articles plagerizing each other. Big Oil has made their bets, and years ago. They dropped out of alternate energy (now called green). They placed their bets on natgas, LNG, and now shale. When green can compete without subsidy, consumers will jump on board. Meanwhile here in subsidized Southern California, consumers pay two to three times per kWh for their socialist regulated monopoly green electricity than consumers pay in energy free market Texas.